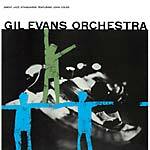 "Originally released in 1960, this album is widely considered to be Evans' masterpiece, on par with Duke Ellington in terms of orchestration, and essential listening for any jazz fan. Evans had spent the previous few years recording with Miles Davis on such acclaimed works as Miles Ahead, Porgy and Bess and Sketches Of Spain, a collaboration which proved to be extremely enriching for both men. This LP was Evans' first post-Miles recording, and the album's title, Out Of The Cool, is an obvious nod to that fact (a play on Davis' own Birth Of The Cool). The album showcases two significant Evans compositions, the groundbreaking 'La Nevada' and 'Sunken Treasure.'" Remastered and pressed on 180 gram audiophile DMM HQ virgin vinyl, 45 rpm.